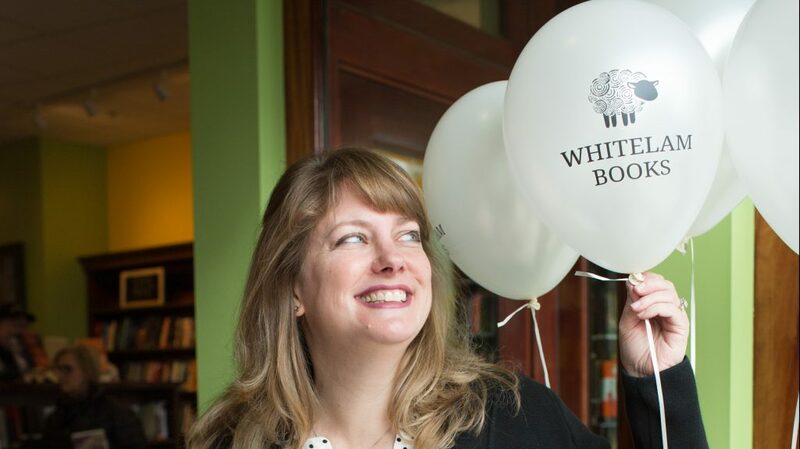 Reading, MA – Join Whitelam Books as we mark our First Anniversary! On Tuesday, November 6, from opening at 10:00 am until we close at 6:00 pm, we will be celebrating one year in business with friends, family, and neighbors, from the Reading community and beyond. Come and enjoy a Ewe-lysses White Lamb cookie! Festivities will continue all day. Adults will have the opportunity to fill out a Wish List for a chance to win tote bags full of books. Kids can complete an in-store scavenger hunt for a chance to win a giant Dog Man stuffed animal! Our holiday catalog will be out, and we’ll have every single title available to look at in person. With every purchase of two or more items, customers will receive a free ARC (Advance Reader Copy) of a book, while supplies last. Limit one to a customer, please. Whitelam Books is located in downtown Reading at 610 Main Street, near the intersection of Haven Street and Main Street.